The book I made in the workshop. I like Drum Leaf and similar types of bindings. I’ve read as much as I could find about making them, and I’ve seen a video of Tim Ely making one, but mine sometimes have bumps where I don’t want them and other unintentional features that displease me. When I saw that John DeMerritt was going to be teaching a Drum Leaf workshop the week I was going to be at the San Francisco Center for the Book anyway, I jumped at the chance. It was such an educational class. There were a few times when John would show us something or share a tip, and that one thing alone was, to me, worth the tuition in itself. We made the spines out of Cave paper. John had us pare the paper along the sides, using our scalpels and sanding blocks. 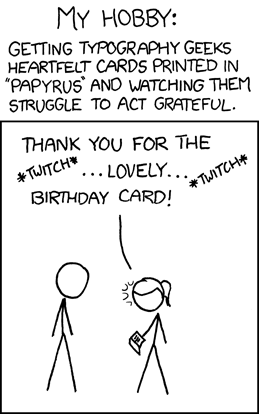 I must say, it had never occurred to me to pare paper before. He also taught us a handy trick for turning-in the cover papers over the board edges using a little squeegee tool, which creates a neater edge when gluing. We also were given nice materials — aside from the Cave paper, we also got handmade Saint-Armand papers for the covers, and enough materials to make two books. Yum. There are piano hinges in front of the wing that open out to reveal much more inside. Immediately after the workshop, Paul Johnson was back to give a talk about his work. He showed us his amazing, big and long accordion-style sketchbook, which he invited people to spread out around the room (alas, I didn’t get any photos of it). He talked about his father, who’d been a talented amateur artist, and showed us slides of some of his father’s drawings. He talked about his own work and about how the environment in which he’d grown up — in the shadow of the nearby cathedral — had influenced his work throughout life. 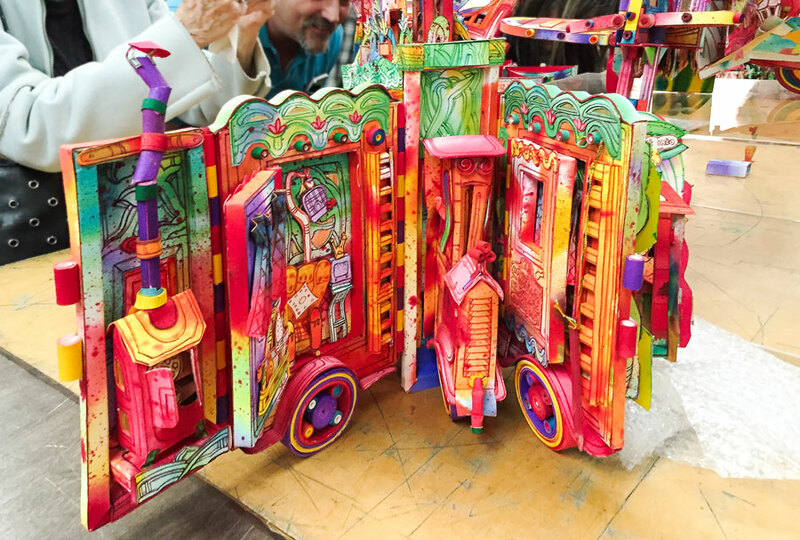 Afterwards, we were invited to go up to a display of his magnificent sculptural books. I did get a few snaps of these, but they barely convey the complexity and size of his wild, multi-layered creations (for one thing, most were so big when opened out that it was impossible to get more than detail shots in that crowded space). I noticed later, after downloading the pictures, the childlike looks of wonder and joy in the faces of my fellow adult attendees as they circled the display. As I say, the photos don’t do them justice. 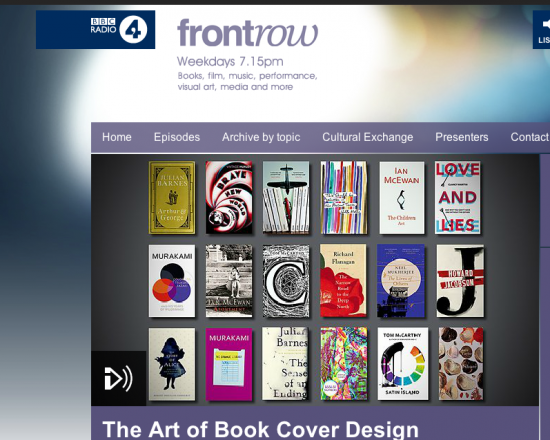 John Wilson explores the art of book cover design and meets artist Suzanne Dean, who has been responsible for more Booker-winning covers than any other designer. Writers Ian McEwan, Tom McCarthy and Audrey Niffenegger discuss the art that represents their words and Telegraph books editor Gaby Wood provides a reader’s perspective on what makes a book stand out in a bookshop. 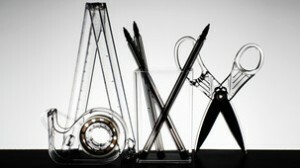 As more of us than ever read books on e-readers, is beautiful design the key to the survival of the physical book? Follow the link above to listen on their website. At any rate, I’ve started to collect new materials to make pages for my next sketchbook/plaything. As part of that, I’ve been browsing some favorite online places for high-quality, public domain printable stuff. These are listed under “Free Picture Resources” on my links page, but I thought I’d explain a little. 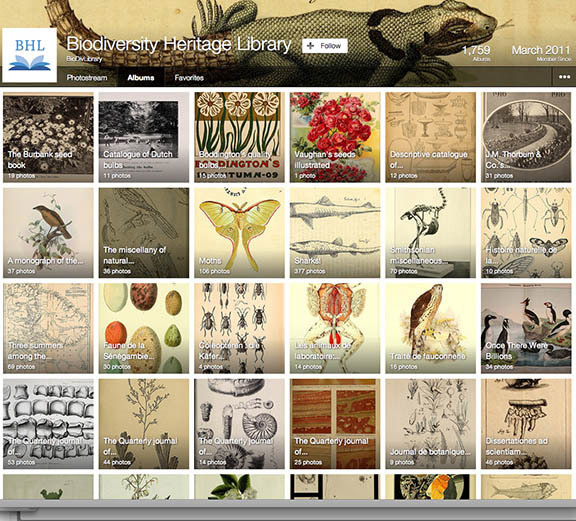 The Biodiversity Heritage Library’s Flickr account will keep you very busy if you like vintage images of nature and the physical world. All of their images are provided under under a Creative Commons license. I find that I usually need to touch them up in Lightroom/Photoshop to make them more to my liking, but you could probably also just download and print if you don’t care as much about such things. If nothing else, it’s a great visual reference resource. Almost always, choosing “original size” will ensure the highest quality for printing. You can always shrink it down later. Click on that, and the picture will be downloaded to your computer. Another fun browse is brought to us by a professor of the History of the Book at the University of Amsterdam. 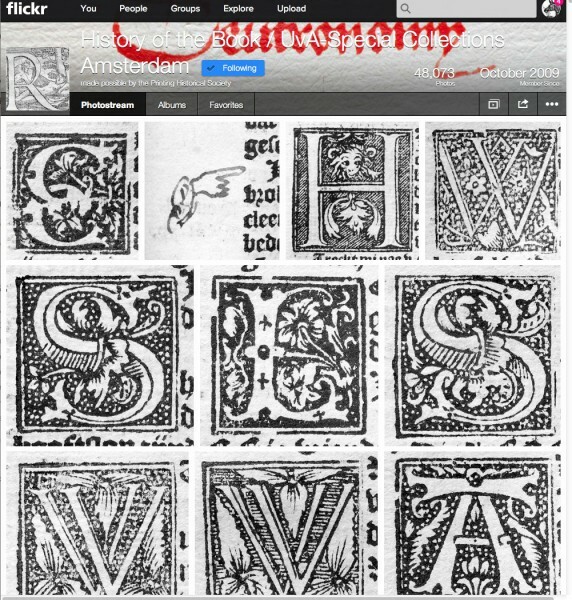 This account, found at http://www.flickr.com/bookhistorian is filled with detailed scans of fancy initials, ornaments and fragments from manuscripts. Of course, there are plenty of other Creative Commons resources on Flickr and the wider web. Photos from the US government, for instance, are generally not under copyright. So… looking for a nice NASA space image or something from the Library of Congress? You might want to start here. And, thanks to Amy, I recently discovered some terrific, high-quality maps (among other things) at The Old Design Shop. 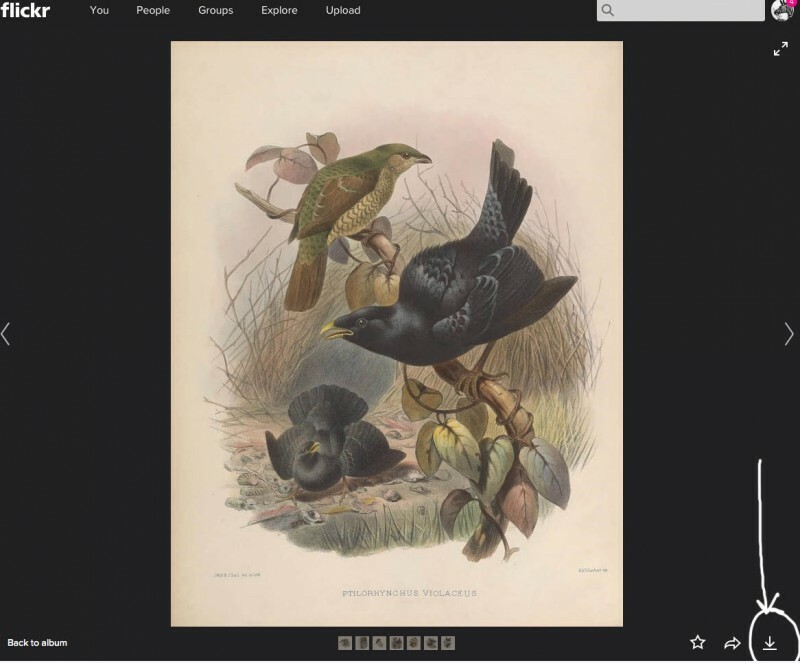 It is claimed that all of the images here are in the public domain. These are, in my so-far limited experience, unusually excellent quality and ready to print without any digital fussing. I printed out some maps on plain Strathmore 400 Drawing paper and they look great. Another site popular around the web is The Graphics Fairy, which leans heavily toward Victorian and Edwardian-style imagery. 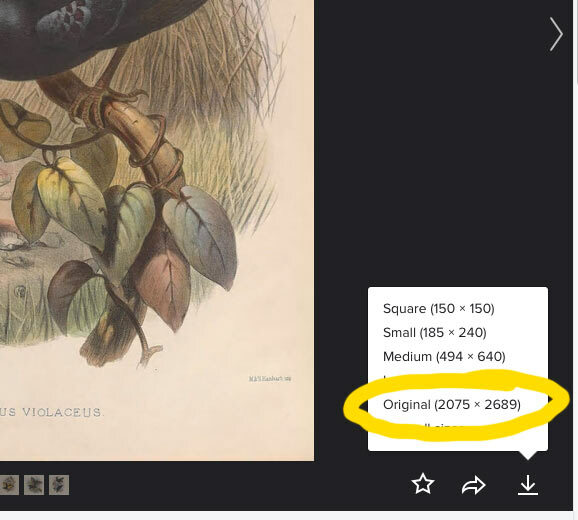 What favorite sources for printable public domain imagery have you found? 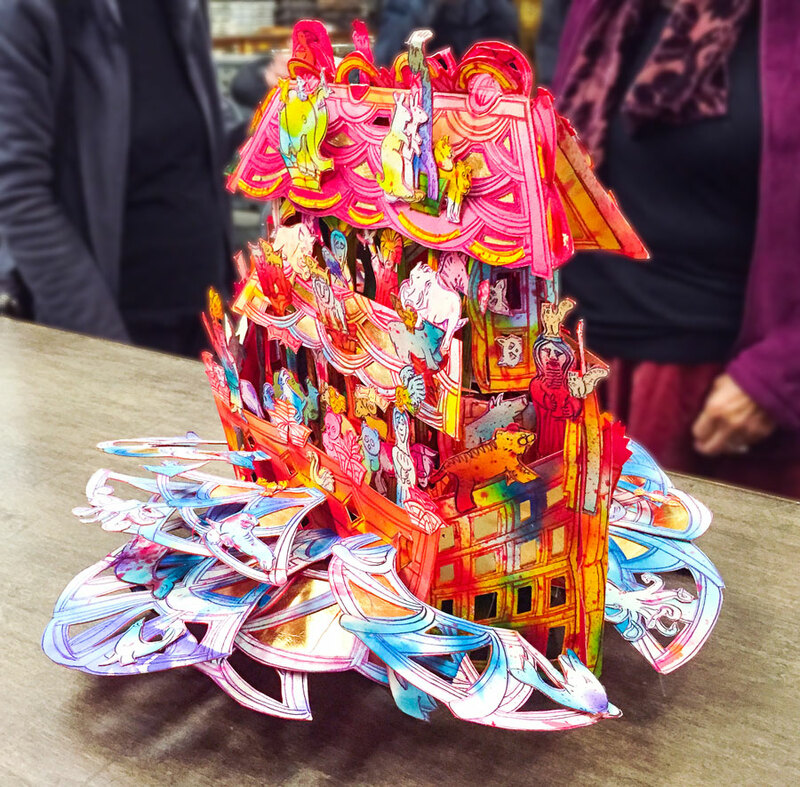 The Miniature Book Society’s news page has a couple of links to videos of miniature movable books that dates from their Conclave last year in 2012 . 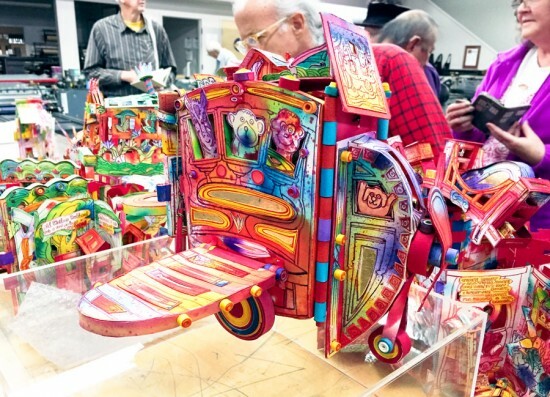 I especially liked this one by Larry Seidman showcasing views of modern miniature artists’ books. Alas, it doesn’t say which book is whose, nor are all of the artists listed, which can be a bit frustrating. Even so, you’ll want to have a cup of tea in hand and settle in. Everyone knows that white cotton gloves should be worn when handling precious books and manuscripts, right? 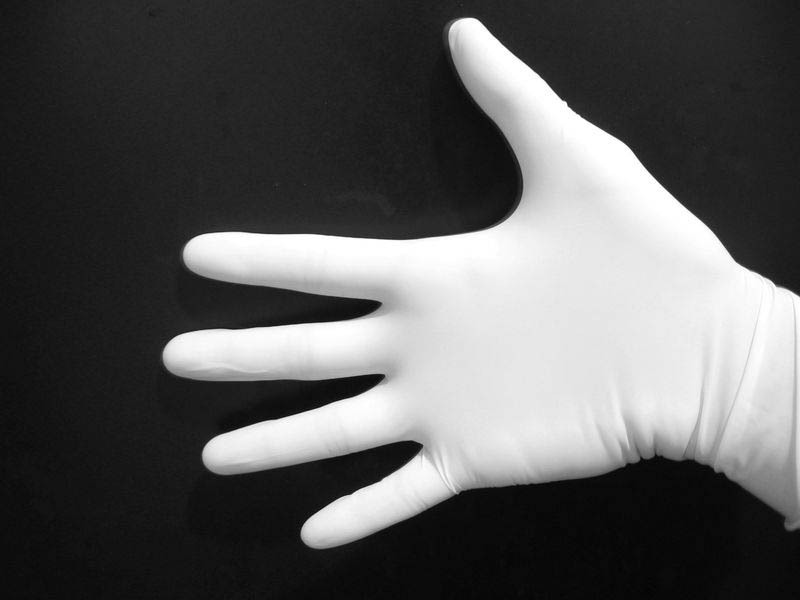 Well, it turns out that the need for white gloves is just as based in fact as all those Eskimo words for snow you’ve been told about. The British Museum, for instance, does not want you to wear white cotton gloves when you are handling most of the items in their collections. I know this from personal experience. When I spent time in their Prints and Drawings Students’ Room some years ago, I was not made to wear gloves, and, in fact, they were not offered. I’ve always been curious about that. And now I know why. It turns out that materials are more likely to be damaged if you are wearing gloves. Awkward cotton gloves reduce dexterity and make you clumsier. The risk from bare skin against precious items is overblown. Clean hands are preferable. From the British Library's Medieval and Earlier Manuscripts Blog. In other words, it’s mostly marketing. I love it when accepted wisdom gets turned on its head. In the second instalment of his survey of the written word, Melvyn Bragg traces the evolution of writing technology from the time of classical antiquity to the invention of printing. 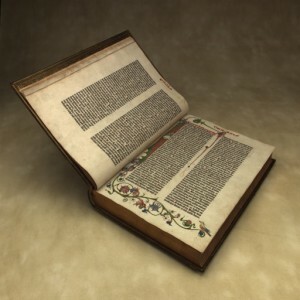 He discovers the origins of the book, and encounters the earliest surviving intact example in the Western world. 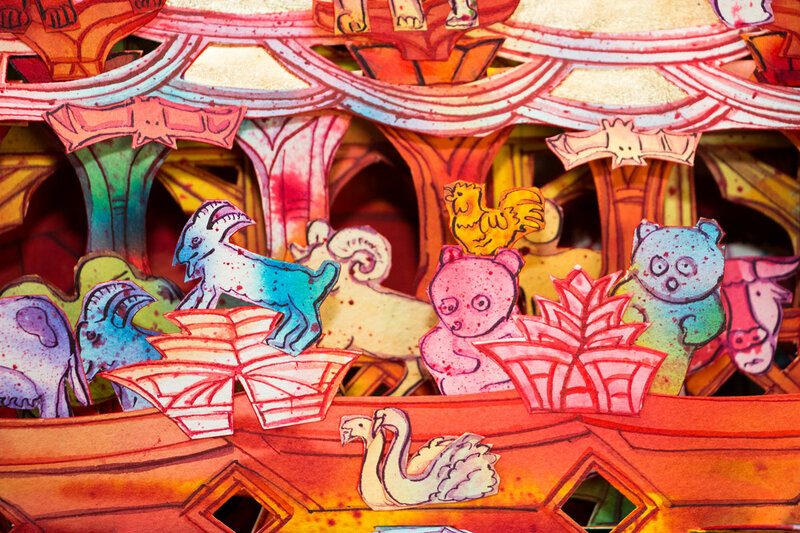 PBS is airing a short about book art with Matthew Reinhart, Andrea Dezso and Carole Kunstadt. 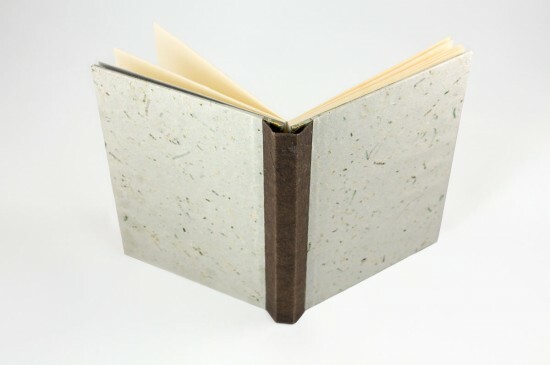 There are some nice shots of artists’ books. Dezso’s, especially, should be viewed full screen. Abecedarian Gallery in Denver, Colorado is currently hosting Artists’ Book Cornucopia II, a juried exhibition. There is an online catalogue. 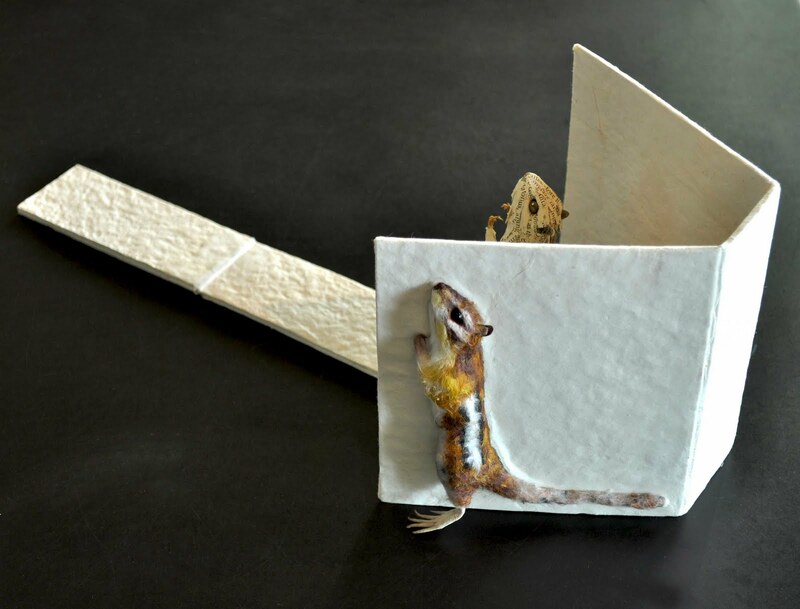 Paper chipmunk taxidermy aside, I should add that there is work from quite a few interesting people in this show, including fellow blogger Anna Mavromatis (who has blogs about her book art as well as more ephemeral matters). This blog is no longer being updated, but I hope you find something useful here, or at least something entertaining. The Paper Chipmunk might return later in a different, non-blog format. Or maybe not. Time will tell.